Rock Q are one of the best Queen Tribute Bands in the UK. With an amazing Freddie Mercury, three part harmonies and guitar solos unlike anything you have seen before. Rock Q is a Queen tribute band which will make your event one to remember. Rock Q have headlined festivals, weddings and corperate events all over the UK for the last 5 years. Supplying an amazing show for every audience. 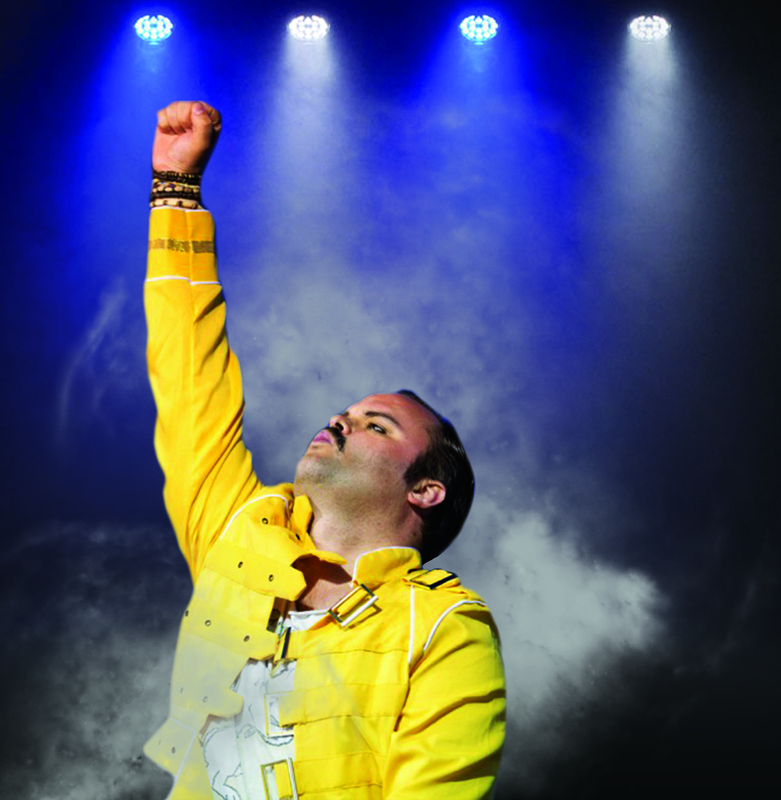 Get ready to sing along as this amazing Queen tribute band plays all the hits that you love. Rock Q’s singer is the amazing Sammy K and he does a fantastic job bringing Freddie’s energy to life. With his amazing vocal range and witty charm, Sammy will have everyone singing along and laughing throughout. The band is nothing to be sniffed at either. Guitarist Dave White matches Brian May note for note on every song. Bassist Charlotte Cooper brings fantastic energy to every show. Drummer John Hoey is amazing and like Roger Taylor, provides astounding vocals. Rock Q provides a professional and polished show for every event.